NOTE: The service price total 250, So please select extra if you want to order. HomeBusinessMag.com is the most advanced online community for home-based entrepreneurs and business owners; people who work from home; and telecommuters. HBM Online is loaded with content to help you start-up and succeed in a home-based business. 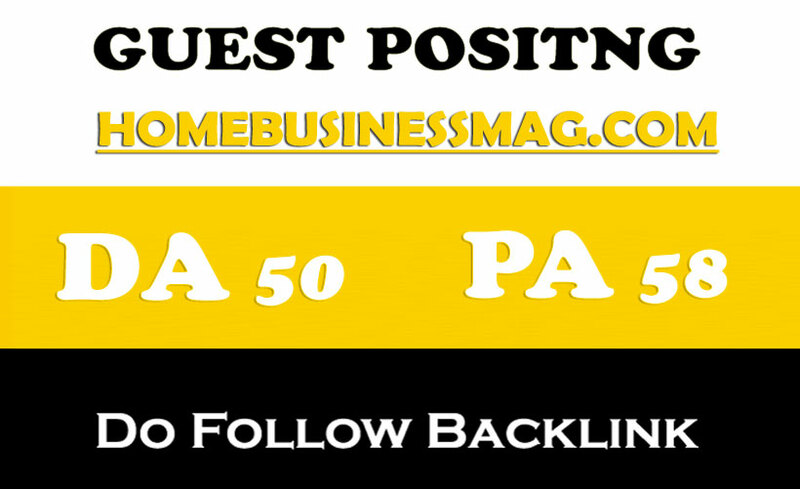 Homebusinessmag.com is a Premium website with high metrics that it can not only boost your SERP rank, it also provides you a handsome amount of traffic to your website. This is a premium domain with very high Domain Authority, Trust Flow, and vigorous editorial screening. 1. (NO homepages or pages with overtly commercial content) Links will be done to a news or blog page. This is to make sure your links pass the editorial review.